John Moloney is one of the most creative and professional comedians I have had the pleasure to work with - quick off the mark - John will have had the audience laughing three times in the time that it takes any other comedian to say 'hello'. John is a firm favourite of the Comedy Store - and a firm favourite of mine. I was fortunate enough to attend a Corporate Event recently organised by a valued Client of mine, and I was truly delighted with your performance. As a fan of stand-up Comedy, I have been to many Comedy Shows, but I have rarely seen a performer with your quick-firecomedic skills. I think you pitched your performance to the room with precision. You were the highlight of the evening. I saw Jack Dee at an event recently, and you were far funnier and more in touch with your audience than he was. It’s a welcome change to see such intelligent material delivered with gracious style and an unwavering depth of professionalism. I look forward to booking you myself for an evening of fun, when the occasion arises. On behalf of BIRA, I just wanted to thank you for being the host at The Gala Awards. You handled everything in a very professional manner (despite some technical difficulties), and we have already received a lot of positive feedback from attending members, congratulating the team on a day that is being viewed as a tremendous success. Comments about you included " Very funny ! â€œ and â€œFantastic entertainment â€“ would really like to see him again ! " Once again, many thanks for your time and effort towards making this a very successful event, and thanks for remaining so patient â€“ and delivering the script so well (despite its length!). As you know, having seen you perform live at a major Comedy Club, I was determined to use your obvious talents for a Sony event. We were able to orchestrate just such an occasion and your ‘set’ for our Sales and Marketing Conference was an outstanding success. You were therefore an obvious choice for our recent Irish dealer Convention in Marbella. The very positive reaction of both audiences is a testament to your ability to accurately pitch your content to amuse and entertain both our internal and external group and the applause and laughter was the true measure of how successful both events were. It was good to see you again and to work with you for a second time. Thanks for taking the time and trouble to mix with both audiences at the bar. It is unusual and much appreciated by both our own staff and our dealers. I’ll keep in touch as I’m sure other opportunities will manifest themselves. 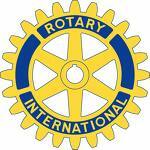 Many thanks for coming to our Rotary Charity Night Dinner last Friday as our Speaker. It was a brilliant evening, we raised a lot of money, and everyone had a great time. Your own performance was excellent, very funny, and very spontaneous. You expertly dealt with 'interruptions', and put everyone one in a good humour for us to be able to extract auction money from them! We will welcome you back in the near future, and wish you continued success with your career. Yet again we were most delighted with your performance for our clients Kia Motors at The Lancaster Hotel. 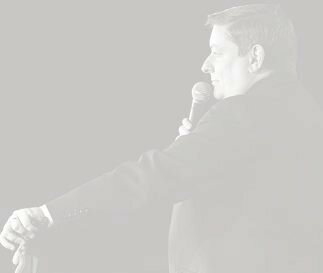 It is testament to your excellent comedy routines and exquisite professionalism that Kia wanted you back for a second year running, on the personal request of their Managing Director Paul Williams. You pitched your material with great precision, and had the audience in rapturous laughter. Your material was fresh, topical and hilariously funny. Thanks for giving our clients such an enjoyable evening. All the best – and we look forward to working with you again at the next possible opportunity. Thank you for entertaining us so brilliantly at our boxing night last week. You were very funny and everyone seemed to appreciate your humour. I am sure you will agree that the evening went very well. Our thanks once again for doing such a good job. “John Moloney has worked for us for two years in succession, he was so popular that the guests ‘demanded’ his re-appearance! We are thoroughly delighted with John, his adaptability and material gave us no cause for concern with a corporate market and once again this year he had the entire audiencerolling around on the floor. Quick, charming, and totally professional, John has been the highlight of our conference for the last two years. Our only worry is how to better him next year”! Following a number one selling guitar band can never be easy for any artiste but right from the moment John Moloney walked on the stage at London’s West End Theatre, The Prince of Wales, the atmosphere was transformed to a London Comedy Club and the audience transported to an entirely new level.